Eighteen Ukranian sailors remain missing after their tug boat collided with a cargo ship and sank off Hong Kong. A massive rescue operation is underway in the South China Sea. 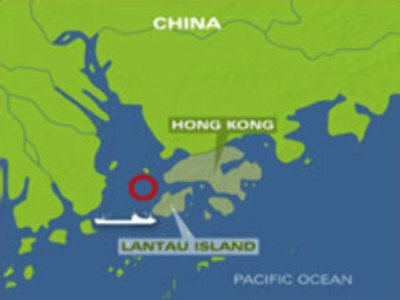 The incident happened just north of Lantau Island. Seven other crew members, six Ukrainians and one Chinese, have been saved. Thick fog has hampered the rescue operation, conducted by ten vessels and four helicopters and 130 rescuers. An attempt to raise the tug, the Neftegaz 67, from the seabed has failed. Rescue divers have knocked on the hull of the sunken vessel but have heard no reply. It's the largest shipwreck off Hong Kong in more than a decade.